An agreement gives the owner assurance that their property is safe in the hands of the other person. To make the process more official, the owner would bring in an agreement form for both parties to agree to and sign. 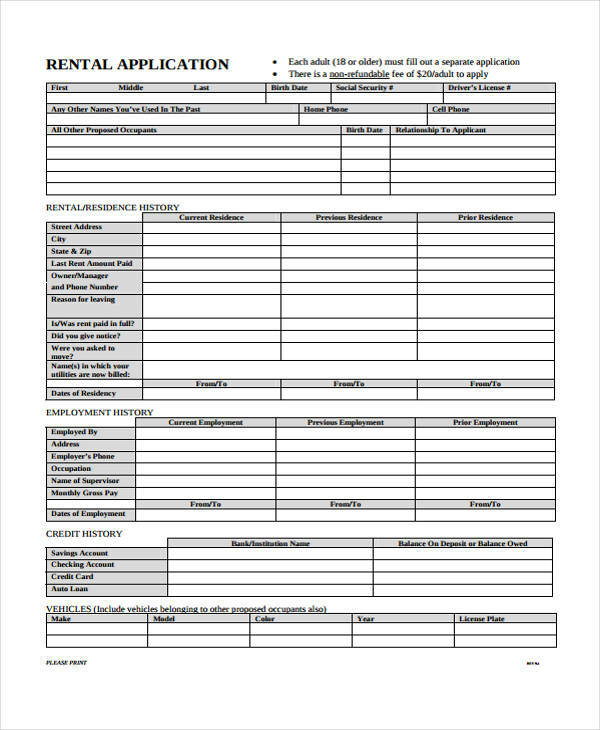 Different kinds of forms range from a Tenancy Agreement Form to a Rental Agreement Form. 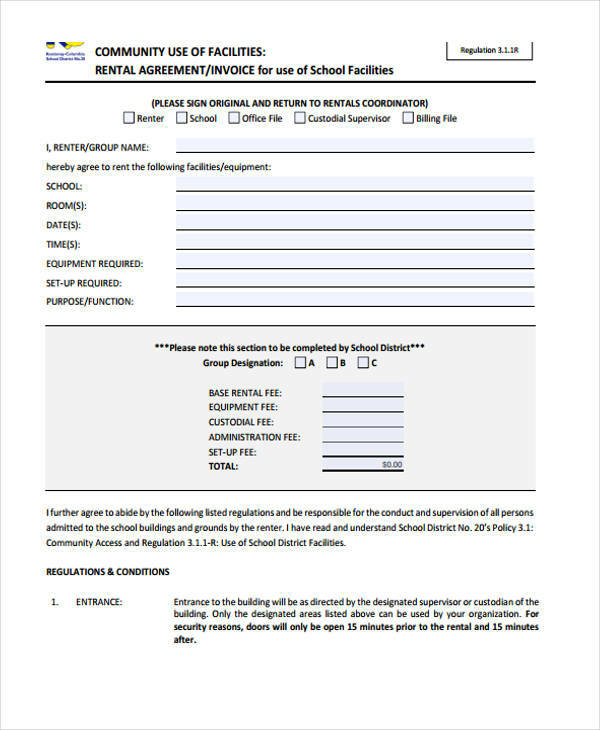 A written agreement form gives the process a stronger foundation compared to a verbal one. In the circumstance that the owner wishes to give a Loan Agreement Form but settles for a verbal agreement, there is a chance that the other party can get away with violating the set conditions from the agreement. What Is a Fixed Term Rental Agreement? 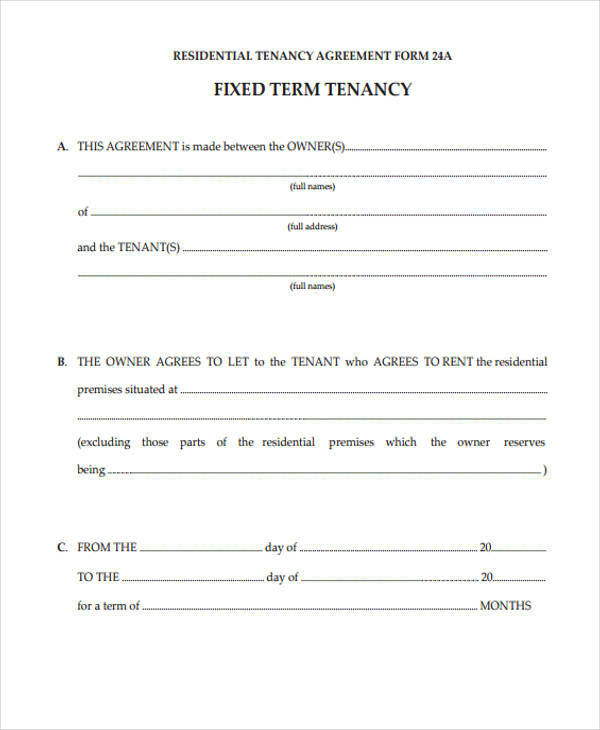 A fixed term rental agreement is a type of rental agreement that has a set date for the tenancy’s commencement and for the expiry date of the tenancy. 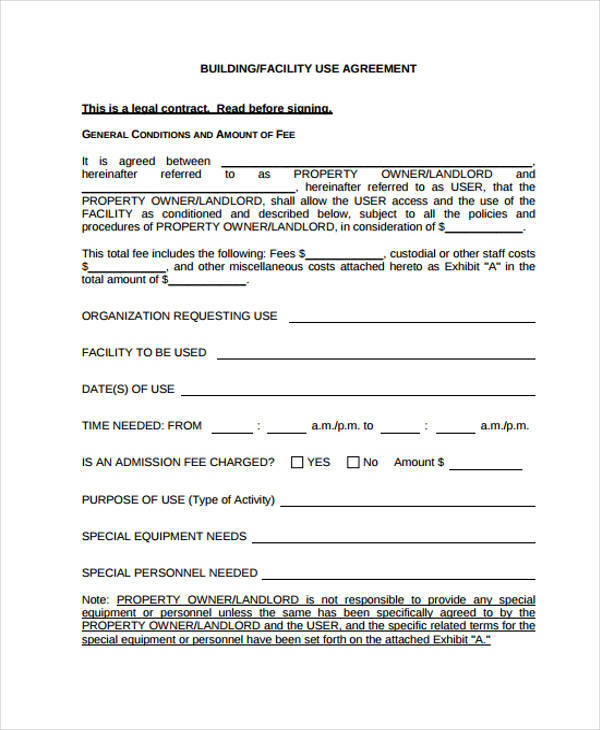 It can be related to Loan Agreement Forms in a way that the object to be loaned to the tenant is the property itself or a space within the property. 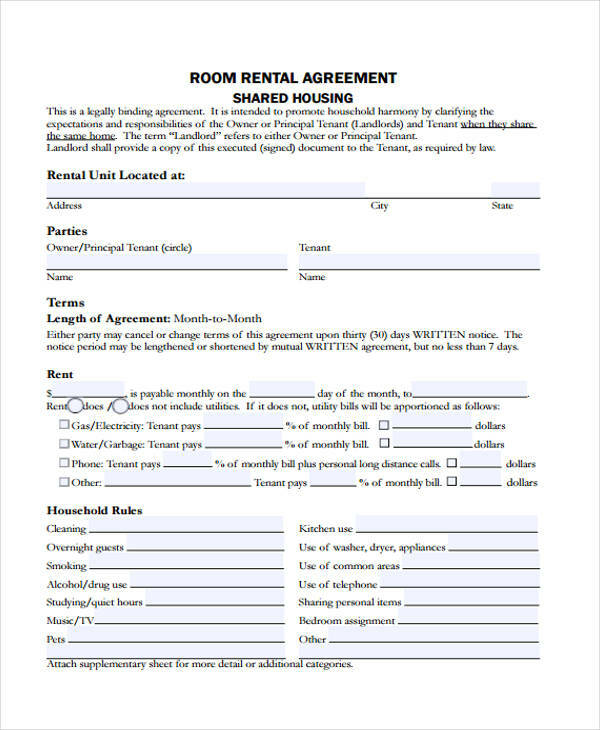 For an aspiring business owner who wishes to have tenants to rent their property, they should keep in mind that a fixed term rental agreement is the preferred type to use. 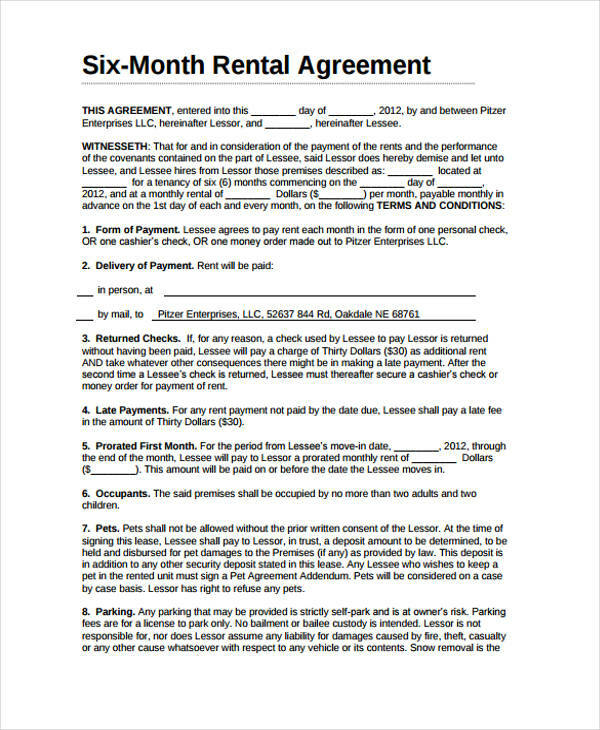 In this type of rental agreement, the tenant enters to an agreement with a duration of six to twelve months. 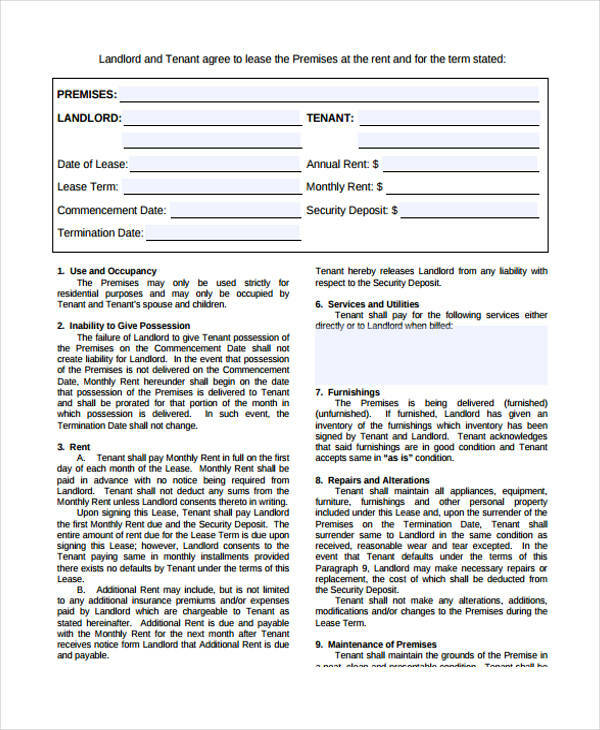 A tenancy or rental agreement may end due to a variety of reasons, such as, the fixed term has ended, the tenant has violated a part of the agreement, or the tenant has abandoned the property. 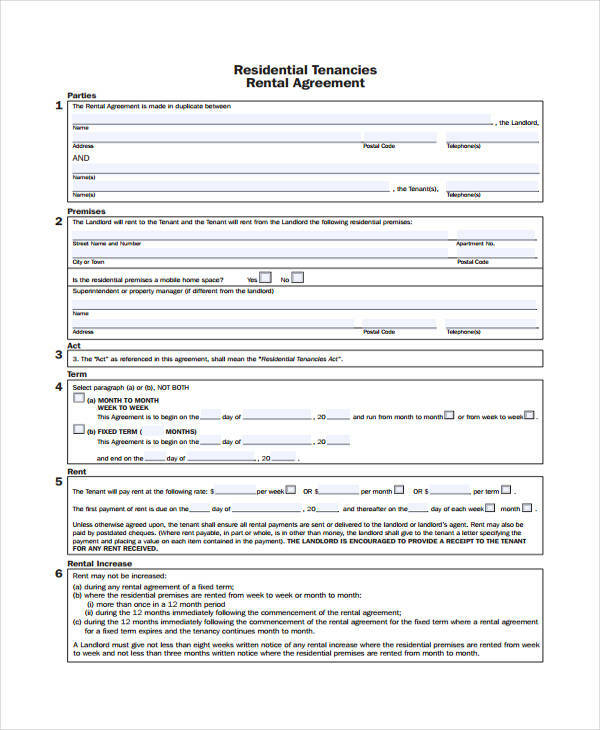 Since a rental agreement is a kind of legal document, there are conditions and process to be met before both parties official end the agreement. 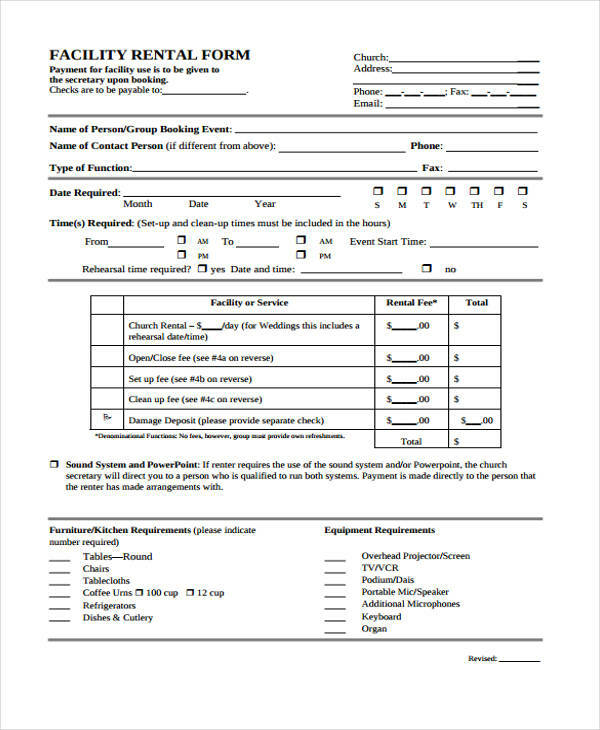 A Notice Form is to be given to the tenant in order for them prepare and pack their belongings. 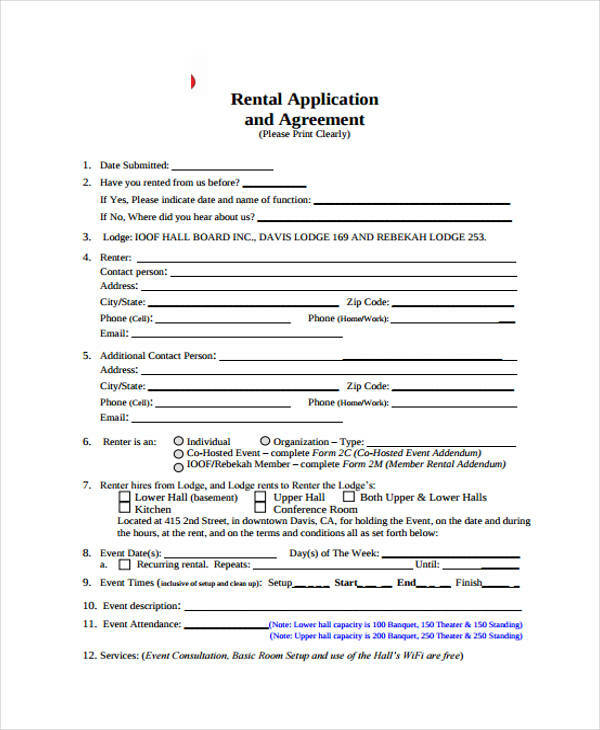 Deposit Agreement Forms should be reviewed by the tenant and the property owner when the tenancy is about to end. There may be some funds left in the deposit by the end of the tenancy. Getting your first apartment or condominium is a big step to take since its the beginning of an individual’s independence. Going into this field for the first time fills one with uncertainty. To give you more assurance, here are five tips to remember before signing a rental agreement. 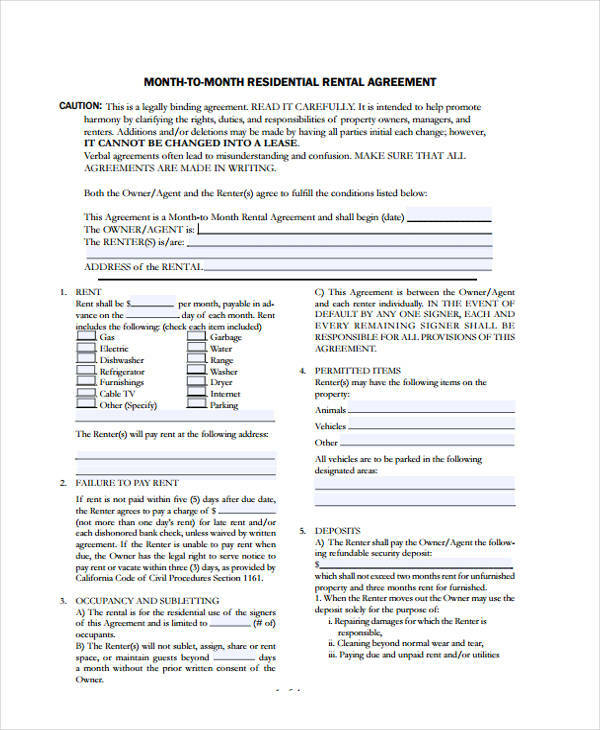 When exploring options for apartments, the potential tenant should make sure that the conditions and terms being shared by the property owner is the same to the content found in the rental agreement form. If the tenant notices a difference between the two, it is best not to sign the agreement yet. Take note of the area the property is situated in. This factor can have a considerable effect since property laws differ in each city, state, or town. The law being practiced in the area can influence the tenant’s decision to sign the agreement and the way the owner prepares the rental agreement. Penalties and additional fees should be something of concern to an incoming tenant. Becoming more aware of the penalties and additional fees stated in rental lease agreement can make the tenant decide if they are able to prepare for it, if they are able to comply with them or if these conditions are too much for them to handle. Penalties and additional fees are necessary to instill order between the tenant and the property owner. Before signing the rental lease agreement, the responsibilities of the property owner and the tenant should be clearly stated. This should be done in order not to confuse what one can or cannot do. 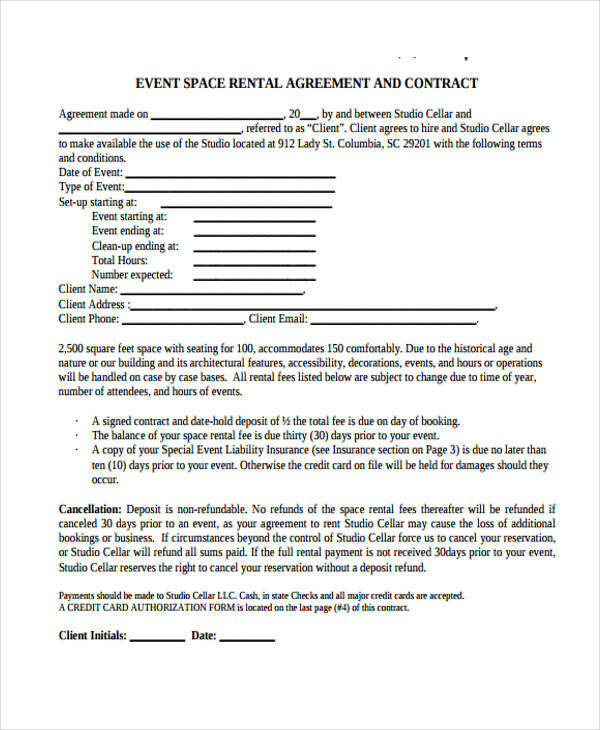 Why Do I Need a Rental Agreement? 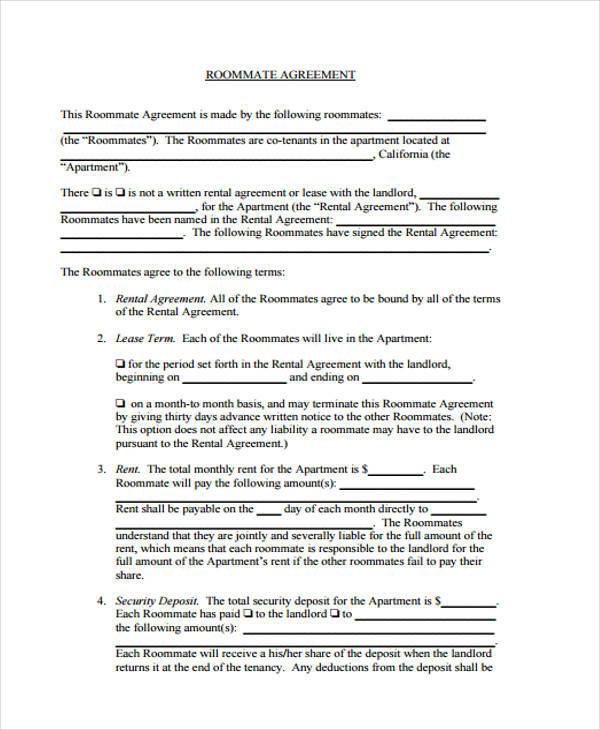 The rental agreement form has importance towards the property owner and the tenant. 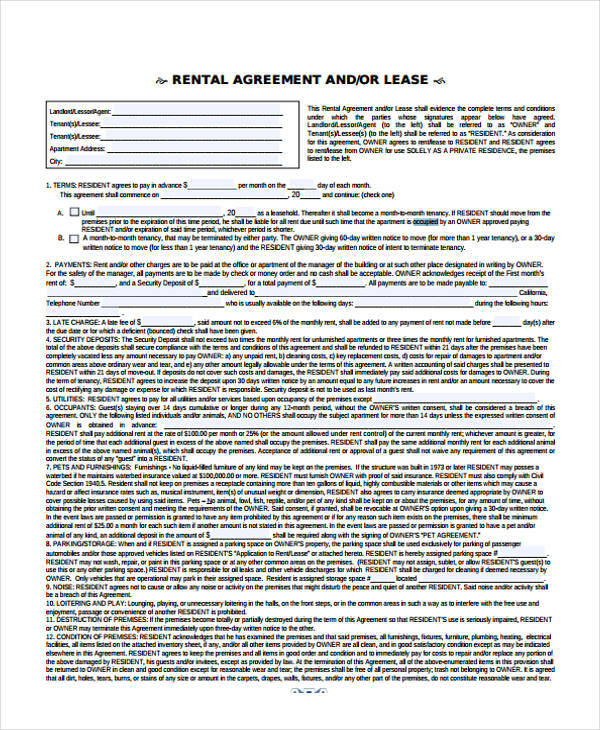 For both parties, the rental agreement is a medium of communication. It helps both parties express what they want, what they do not want, and the compromises both are willing to take. Since the property owner is tasked with creating the rental agreement, it should be well-written in order for future tenancies to be successful. 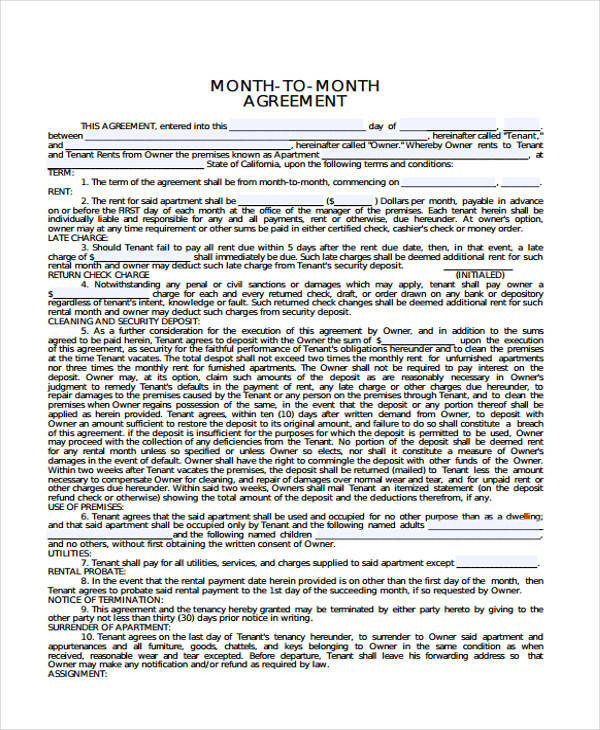 The owner can use other agreement forms like Sales Agreement Forms in PDF format as a reference to their creation if they feel the difficulty of covering a lot of details in the form. 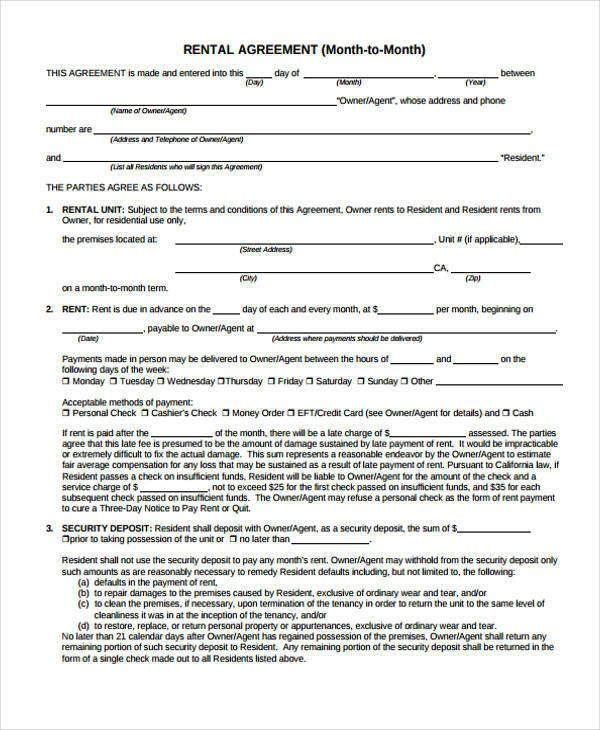 Any agreement form, such as a Non-Disclosure Agreement Form, can be beneficial to a lot of people, if it is done well. A good rental agreement creates a harmonious relationship between the incoming tenant and the property owner. It also can lead to a successful tenancy, which benefits both parties. 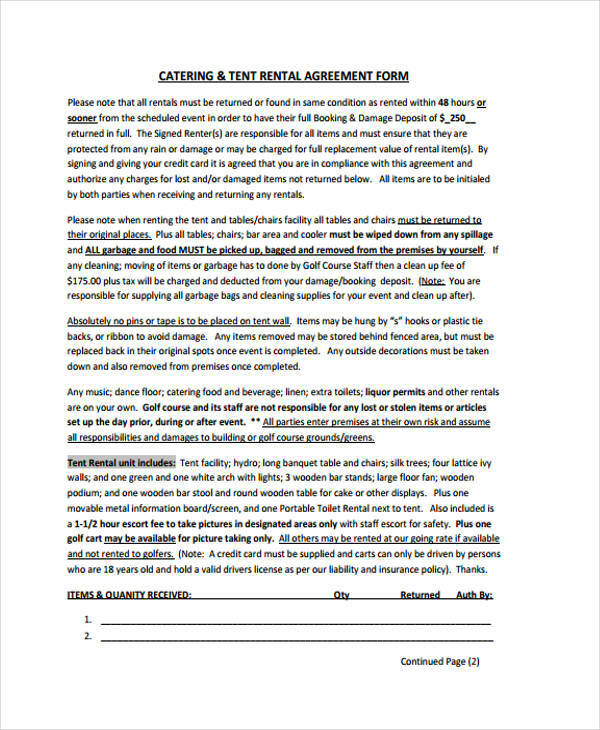 Before any of that can happen, the rental agreement should be at its best condition. The language to be used should be simple enough for the tenant to understand, and terms should be written in a straightforward manner in order not to confuse the tenant. All terms and conditions should be present in order for both parties not to create loopholes within the form. 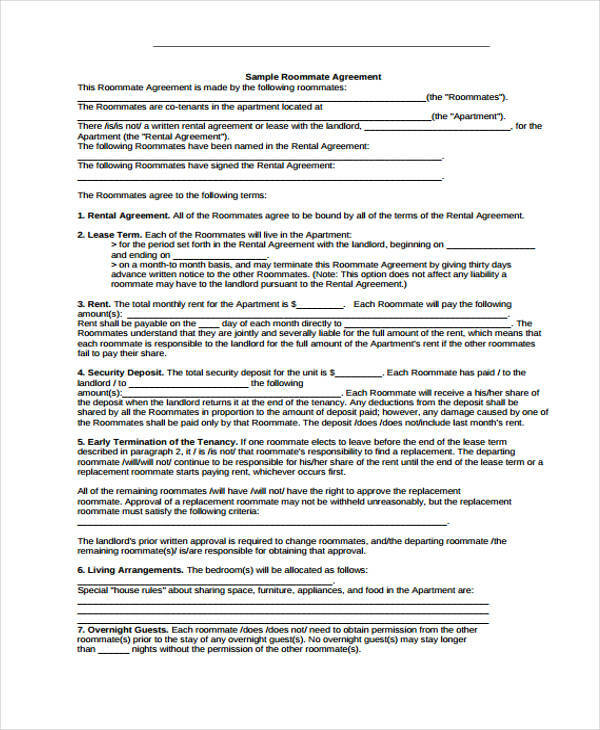 Business Agreement Form, Simple Agreement Forms, and Apartment Agreement Forms should have terms that cater to its specifc purpose and to help ensure a good contractual relationship between two parties. To have the same effect with your rental agreement, here are ten tips to remember. The basic information on the tenant, the property owner, and the property itself should be stated. The owner should indicate the duration of the tenancy in order to inform the tenant of how long they obligated to stay in the property. Limitations of who is allowed to occupy the property is indicated in the form. 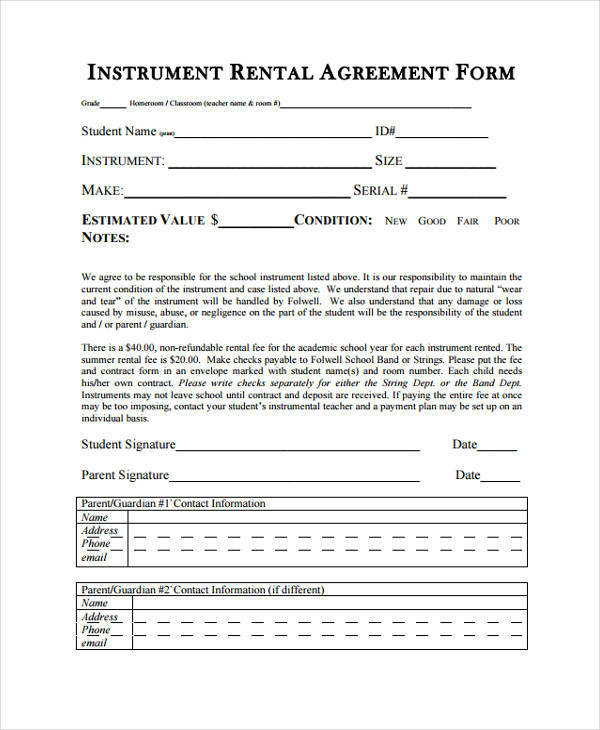 Since rent always relates to payment, the monthly payment for rent should be placed in the rental agreement form. The responsibilities of the property owner and the tenant should be clearly stated for them know what they should do during the tenancy. 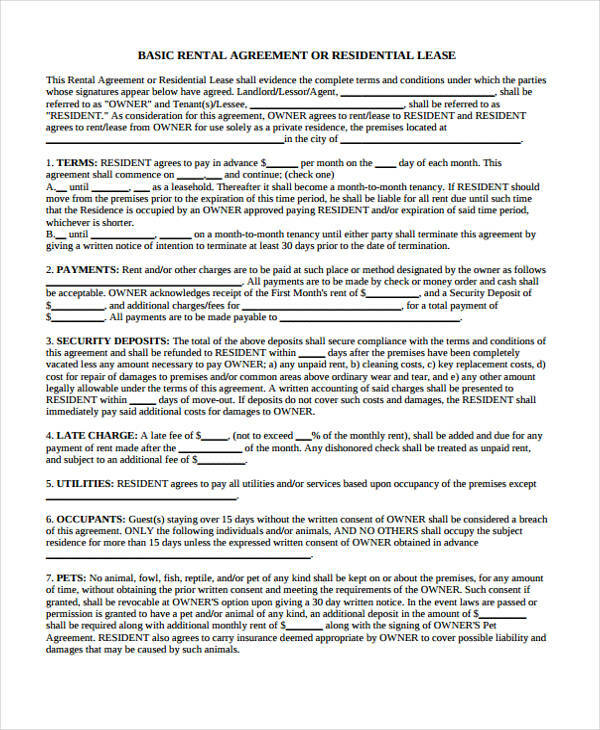 The specifications and limitations of the tenant’s security deposit are included in the form. Provisions that the owner is willing to offer such as pet and parking provision are included in the agreement. There should be a clause in the form that inhibits any form of illegal or criminal activity.